Who doesn't like rain? Fleur loooooves the rain (not Rain the Korean pop star, ok). 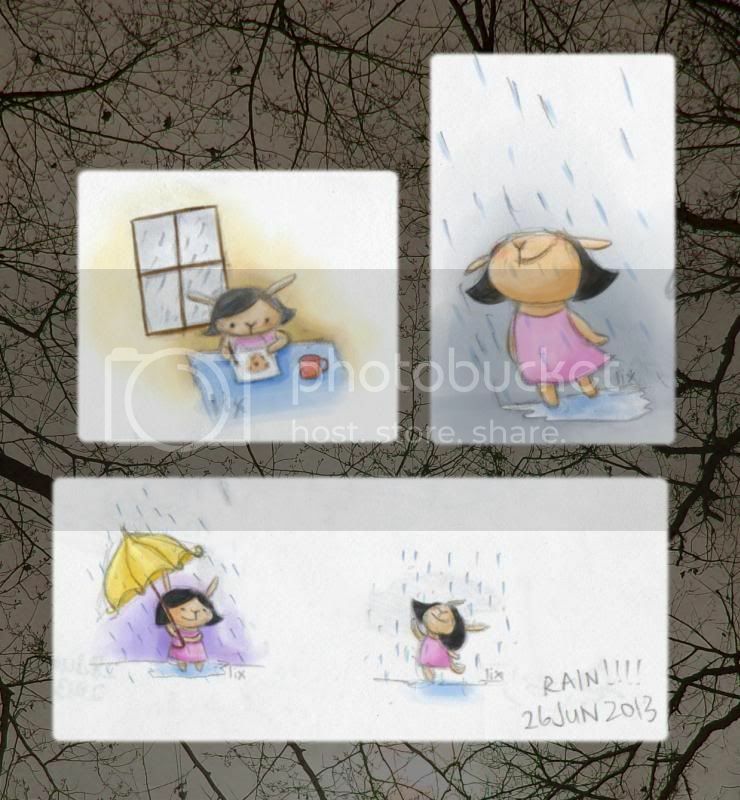 When it does, she takes her umbrella and stands there, hearing the pitter patter of raindrops on her umbrella, taking in the cool breeze. And on top of that, dancing in the rain! She doesn't get a cold after doing that, don't worry. You can also find the drawings on Twitter with the hashtag #fleurtoon... Better still, just follow me on Twitter! Button's on the left. www.facebook.com/groups/bunnigea/ <-- copy and paste this link! And request to join the group. I promise you don't have to jump through any hoops to get into the group. As long as you're nice, you can stay on The Premium Land of Bunnigea.